After all the indulgent food over the past couple of weekends, it’s time to get back to more healthy dinners. 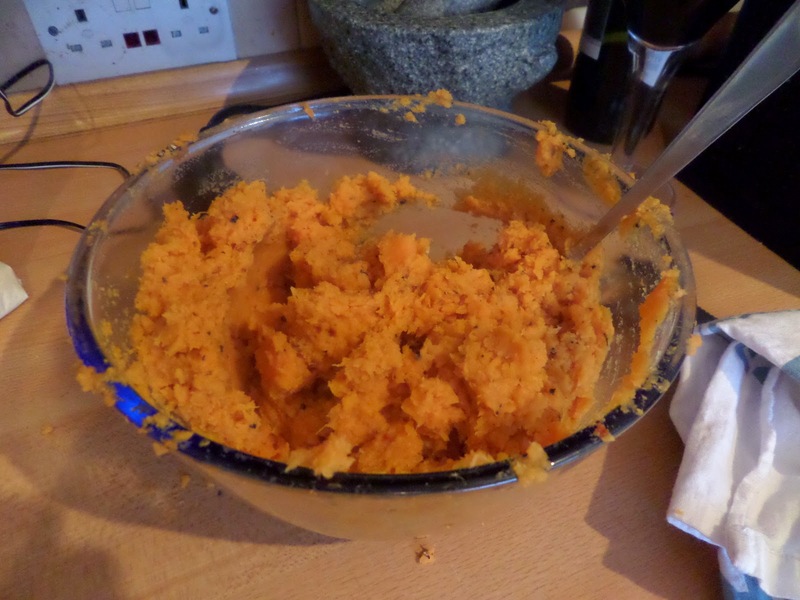 So this week I’m trying my hand at sweet potato gnocchi from this Domestic Sluttery recipe. We’ll serve with some of Soph’s courgette and butter bean side that was leftover from earlier in the week. 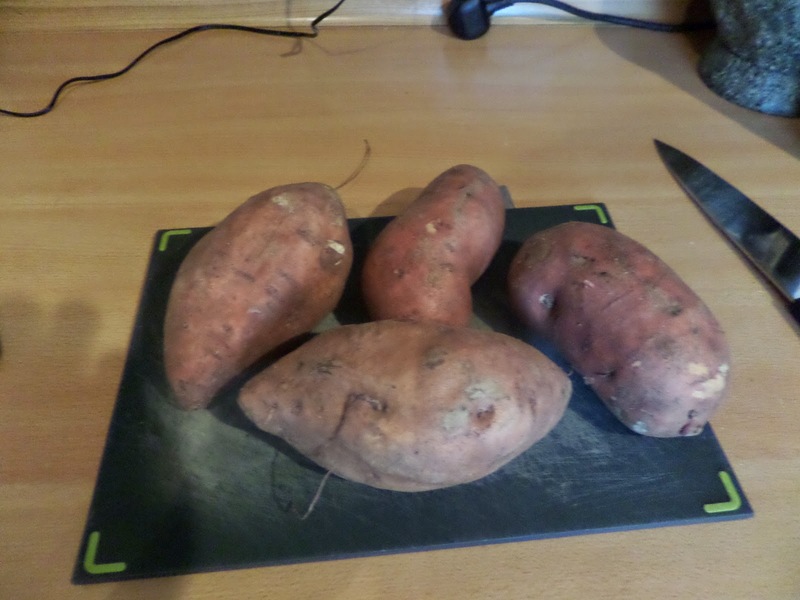 So I ordered the required 4 sweet potatoes. A little large don’t-cha-think? So I only used two of them, and still had loads left over! Anyway. nuke until soft so they can be mashed, and seasoned. 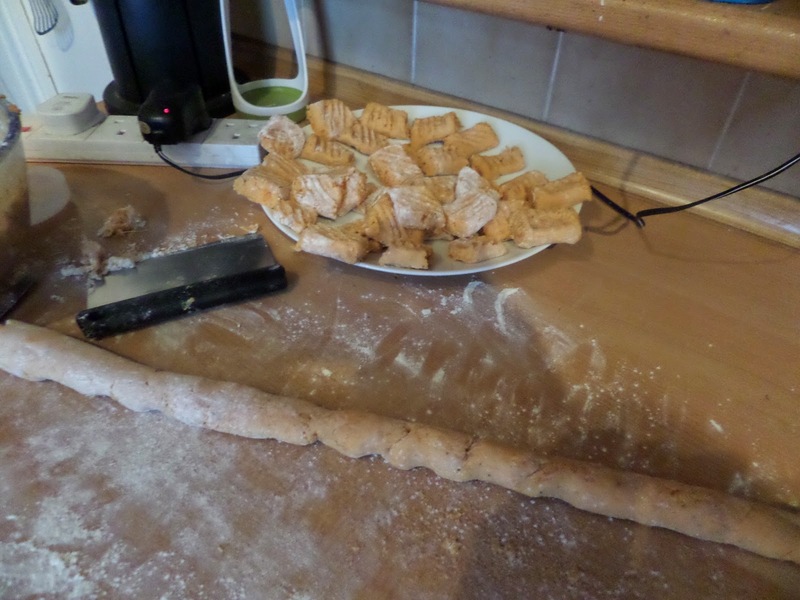 Add gram (chickpea) flour, roll into sausages, cut into 3cm pieces, and fork flat. Boil for a couple of minutes, then fry up in onions, garlic, chilli & olive oil. Serve with Soph’s courgette and butter beans, which includes the house standards of garlic, tomatoes, chilli & red wine vinegar. 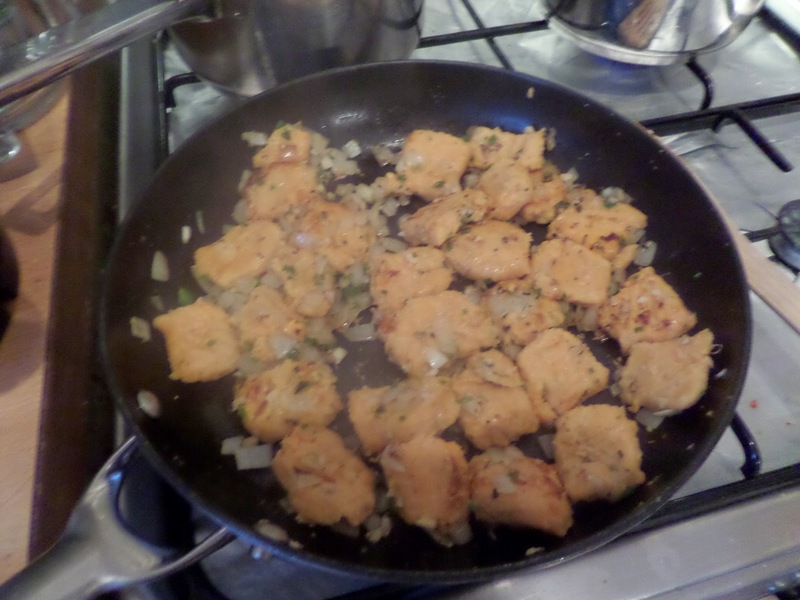 They were very strange: it’s just sweet potato and gram flour, but it has a lovely springy, even meat-like texture. OK so they were too big: I’d do them half the size if I did them again, but the texture and flavour was great. Helped by the courgette & butter bean side of course! 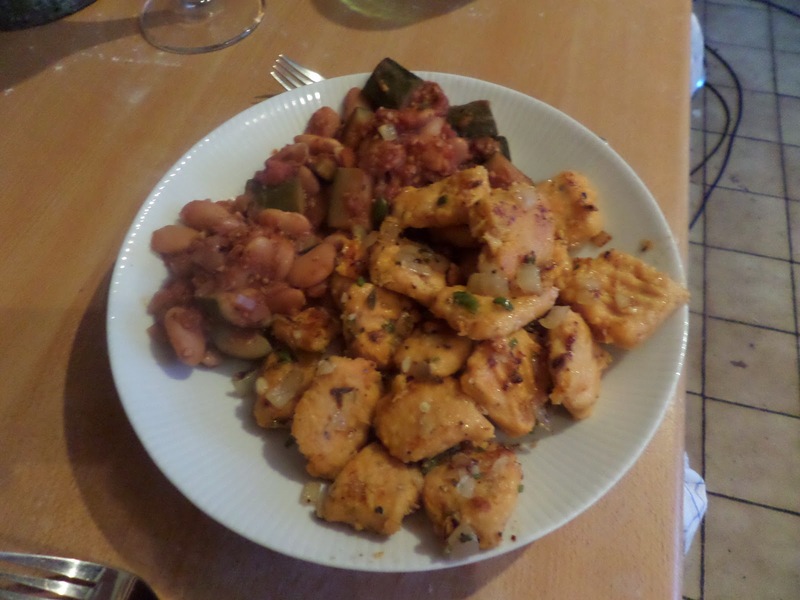 Even with the olive oil for frying, it’s just sweet potato, gram flour, courgettes, butter beans & tomatoes & onions. I’m claiming this is your 5-a-day veg in one meal, with low calories to boot! So now we just need a dessert with 2 fruit to get our 5 veg/2 fruit a day!